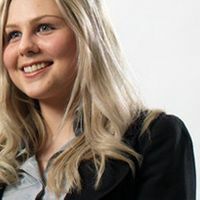 Hayley provides advice to clients on their intellectual property rights, including copyright, design rights and patents and with a particular focus on trade marks. She specialises in trade mark and design right prosecution and litigation. As an EU Intellectual Property Office (EUIPO) Professional Representative, Hayley prosecutes EU trade marks and EU designs at the EUIPO. Hayley joined Brabners LLP in 2012 after having previously worked as an Intellectual Property Strategist at Shell Global Solutions. She has an MChem degree in Chemistry with Patent Law, which exempts her from a number of Chartered Institute of Patent Attorney examinations, and has a wealth of experience studying and working in IP since 2007. Hayley is a Chartered Trade Mark Attorney and advises a wide range of clients from individuals and SMEs to multi-national companies. Her expertise focuses on trade marks in particular but she also advises on patents, copyright, design rights, domain names and other forms of IP. She represents client at the Intellectual Property Offices in both the UK and the EU. Hayley assists clients throughout the entire IP process, providing clearance searches and IPR audits, assisting with strategies, filing, prosecution, oppositions, watches, infringement, and litigation. Brabners additionally has a number trusted foreign attorney contacts with whom we regularly work.